Paul, a representative for International Liquidity, contacted BsnTech a few weeks back in order to get a website started. He wanted to have a clean and professional website that had a full-width slideshow as a background on the home page – plus a “watermarked” picture background on each of the other pages. We went to work right away on Paul’s website and completed everything that he sent us within just a few hours or less. While the site has not been fully completed, it might be some time before the site is considered completed. Therefore, we have put the site on our portfolio website to showcase the site. We appreciate the business from Paul and hope that we have earned his business for the other websites that he has mentioned that may be coming in the future. 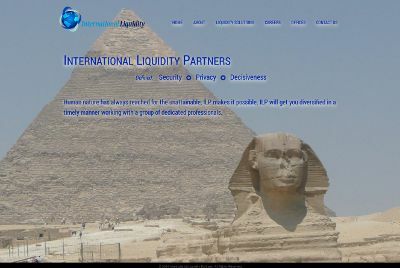 The International Liquidity website is at internationalliquidity.com.